Caller ID Spoofing free! Click the link above to spoof caller ID with voice changing and soundboards. This free caller ID spoofing trial allows you to test out SpoofTel and experience our call quality and advanced features. For the past 9 years, SpoofTel Ltd. has offered the world's highest quality and feature-rich caller ID spoofing service on the planet. Take caller ID spoofing to the next level and sign up an account today! Send SMS text messages using our web based portal or use our API to integrate into your applications. With SpoofTel's SMS sending, you are just a click away from texting the world. SpoofTel offers you the ability to spoof caller ID and send SMS messages. You can change what someone sees on their call display when they receive a phone call to anything you like! You can show any phone number you wish on call display, essentially faking your caller ID. You can change your voice to male/female, record the conversation, send SMS text messages, and PROTECT YOUR PRIVACY by not showing your real number on caller ID. To use SpoofTel and start spoofing your caller ID, simply sign up and purchase Spoof Minutes. 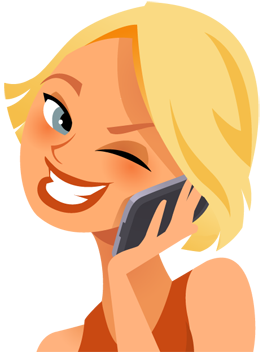 With Spoof Minutes, you can spoof calls over the internet or through one of our US or Canadian toll free numbers!